Kazza's BAS n Books - Mobile bookkeeping Caloundra - Maroochydore - Nambour! Business Bulletin is a bi-monthly publication produced by the Australian Bookkeepers Network. 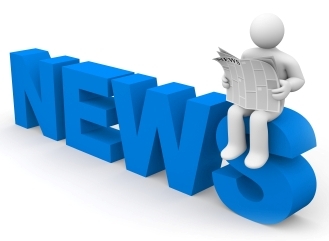 The newsletter is tailored with insightful articles which are relevant to all business owners, regardless of industry. Crack down on unpaid super, cyber security and more..... click here! Working capital loans, five key things when starting out in business and rental property deduction crackdowns..... click here! Shares as an Income Stream, Estate Planning, Small Business Tax Concessions and more..... click here! TAX – Federal Budget and MONEY – Pay Off Your Home Loan Sooner..... click here! What's hot? FBT Year-End - Record Keeping, Instant Asset Write-Off and more..... click here! Christmas and the taxman and achieving the right work/life balance..... click here! Making the most of low interest rates, business plans and password security..... click here! Year end tax savers, the current investment environment and offer some tips for office ergonomics..... click here! In this edition take a look at a handy FBT checklist, look at Granting equity in your business and explore some recent HR developments.... click here! In this edition we cover Christmas and the Taxman, Rising Interest Rates, Handy Tools from the ATO and more.... click here! In this edition we look at how consolidating your super can save you thousands, explain Negative Gearing, offer some tips for employee well being and more.... click here! In the winter edition of business bulleting we look at the 2015 Federal Budget which was handed down on 12 May and how it may impact business.... click here! Bookkeeper/Registered BAS Agent – Australia wide service available - Mobile Bookkeeping Caloundra to Nambour!